Pioneers in the industry, we offer ss valves, ss filters, pressure gauges and fittings and cylinder connections from India. We are the prominent manufacturer and supplier of a wide range of SS Valves. These products are manufactured using high grade raw material and advanced technology. Our offered products are checked by our experts on industry developed parameters in order to ensure the flawlessness of the products. Products, offered by us are also appreciated by our clients for their infinite quality features. 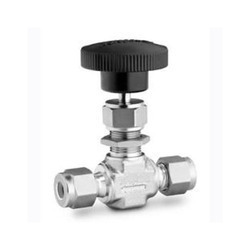 • Needle Valves – For use with regulators, easy control of outlet flow. 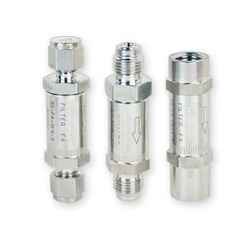 • Relief Valves – For use with regulators, relief pressure adjustable. • Diaphragm Valves – Designed for regulator outlet port. Keeping in mind, ever-evolving requirements of our valuable clients, we are offering an exclusive range of SS Filters. The offered range is manufactured using high grade raw material and latest technology in compliance with international standards. Our esteemed clients can avail this array at competitive prices. In addition to this, we provide our entire range in a number of connections options, in both Inline and T-Type formats. 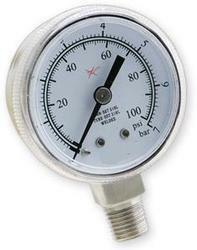 We are offering for our valued clients quality approved Pressure Gauges. These are manufactured in accordance with the set industry standards. Offered range can be accessed in varied sizes for applications in different industries. Our professionals use the latest technology and optimum quality raw-material for manufacturing these products. 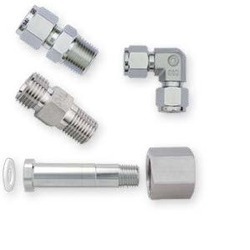 In order to meet exact needs of our clients, these come in various pressure ranges and connector types. We are involved in offering a wide range of Fittings and Cylinder connections to our valuable clients. These products are manufactured using the optimum grade raw material and cutting edge technology under the supervision of our skilled professionals. Furthermore, the products offered by us are checked by our quality controllers. In addition to this, the prestigious clients can avail these products from us at the most leading price. Looking for Gas System Accessories ?